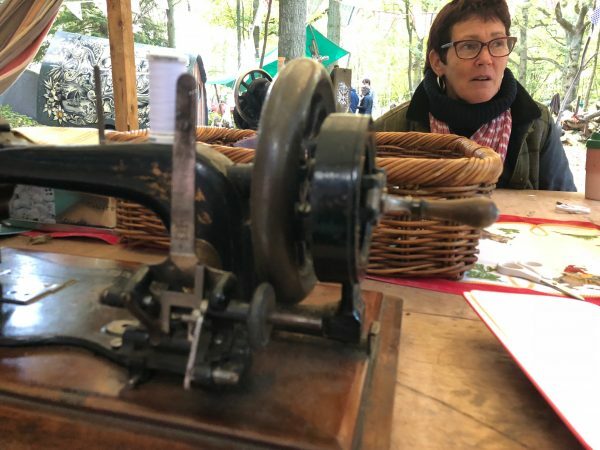 "You can buy these sewing machines for as little as £10 or £15 each. 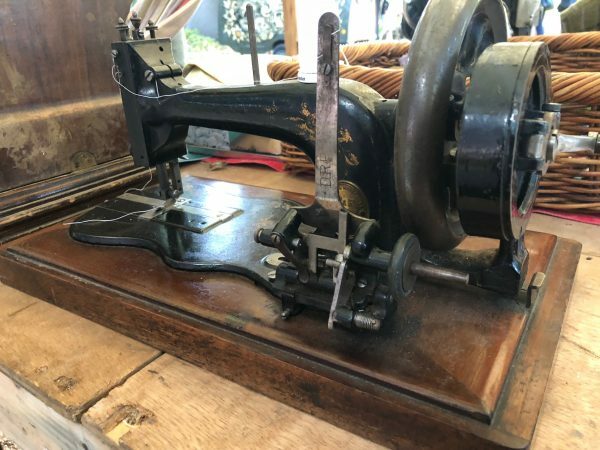 We've got ten working machines and they all have names and we know their dates of manufacture, so there's Joanie (1955), Sylvie, Betty and then old Ron (1890) - he's a more robust German-made machine so we get the boys sewing on that one." 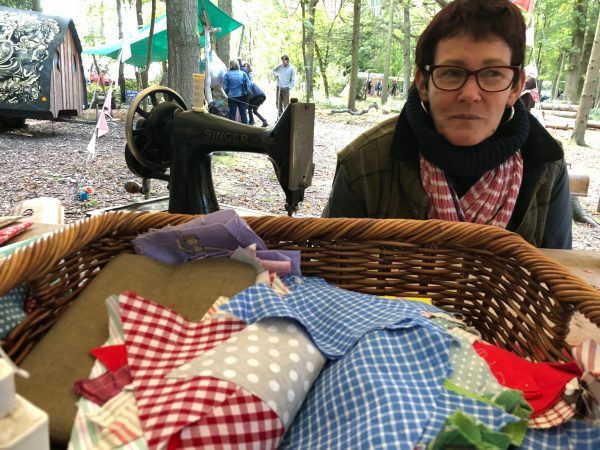 Mandy Shaw teaches sewing and quilting outdoors such as at the Bentley Woodfair, where I met her on her stand in the woodland. She also tells me about the Glastonbury Festival where she teaches children how to sew. 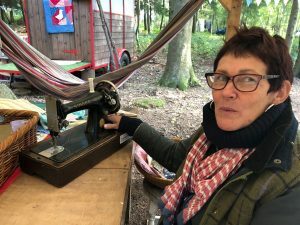 It's not just children who are often sewing for the first time in their lives but also comfortably-off, middle-aged, middle-class women nowadays who often haven't ever done anything like this. It's an interesting generation of women who thought they didn't need such old-fashioned skills, but when they learn to sew they become empowered by what they find they can do." Listening to women who are sewing is eye-opening for Mandy as she finds they talk about everything under the sun (or trees) and as she put it, "I'm in tears at least once almost every day." Sewing together is also great for recovering from trauma - bereavement, tragedy and family pressures. “Woodland Therapy” and outdoor counselling.